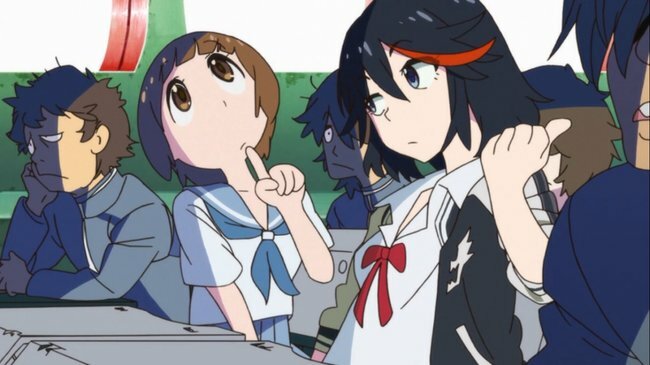 Anime Limited have today revealed that those purchasing to first-print-run of Kill La Kill – Part 3, which is expected to be released on the 25th May 2015 on both DVD and Blu-ray, will receive a Collectors Box that will fit the entire series in. 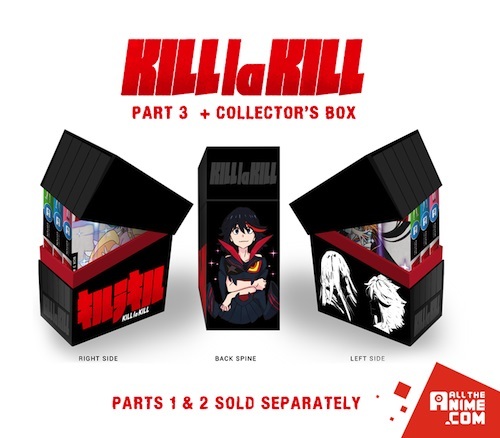 The idea is that all three collectors edition parts of Kill La Kill will fit inside this Collectors Box to offer the illusion that it is a complete series set rather than individual parts; a feat which Manga UK recently attempted with Attack on Titan but ultimately failed due to product information and thin materials. Interestingly unlike Manga Entertainments attempt at a Collectors Box, or even MVM Entertainment’s chipboard packaging for Fate/Zero, this one will be of similar design and quality to that of Beez Entertainment releases, such as the Gundam 00 and Gurren Lagann packaging – but of course if you’ve never seen them then you’ll be clueless as to what I’m talking about. Anyway; Anime Limited will be offering this Collectors Box with first print-runs of the third part, after which it may become non-existent (this has yet to be confirmed by the distributor). There is also suggestions floating round that the ‘standard’ versions of the series, which are expected to be released at the end of this year, will also receive a similar collectors box treatment. Kill La Kill – Part 3, which is the final part of the series, will be released on the 25th May 2015 on both DVD and Blu-ray; it’s also expected that Anime Limited will have copies to sell at the London MCM Comic Con in May.